Still haven’t made the transition to LED? 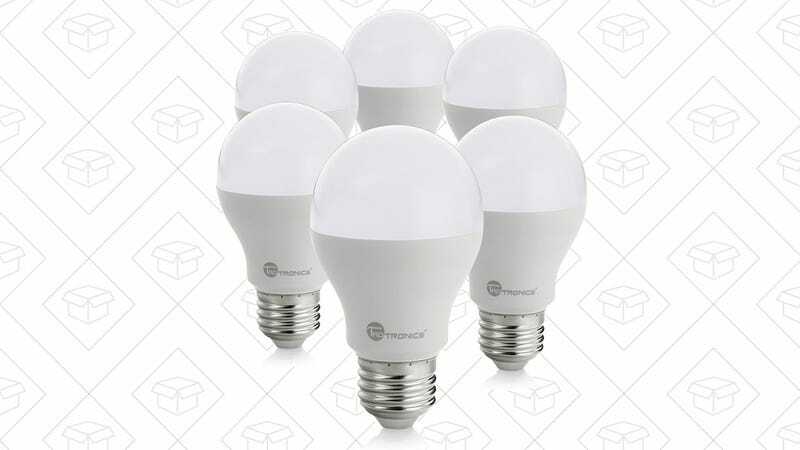 Amazon will sell you a 6-pack of highly rated TaoTronics soft white bulbs for just $13 right now with promo code BS52P2JO. These put out the brightness equivalent of a 60W incandescent, but with only 9W of electricity each. Plus, many local utility companies offer rebates when you buy these things, so they should pay for themselves in short order.